An ordinary iguana, or a green iguana Lat. 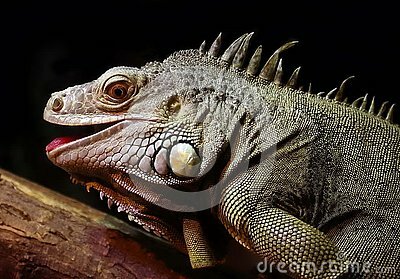 Iguana iguana is a large herbivorous lizard, leading a daily woody life. An ordinary iguana, or a green iguana Lat. Iguana iguana is a large herbivorous lizard, leading a daily woody life. It lives in Central and South America. Closeup.